Want a Custom or Special? Home » Ye Ol’ Blog » Uncategorized » It’s all about the customer, the process and the product. It’s all about the customer, the process and the product. 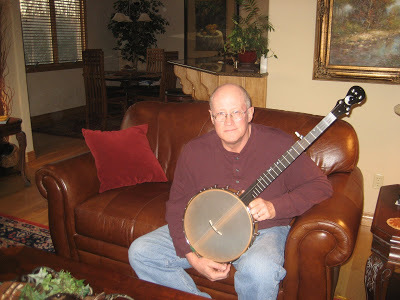 When I decided to upgrade to a very good banjo I had few options nearby so I had to do research on the internet. 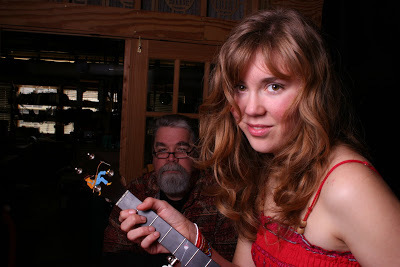 I was impressed by the fact that I could find nothing but glowing comments about Chuck and his banjos. He was professed to be a master craftsman and a wonderful individual to work with in terms of listening to what sort of sound and feel you want, what kind of woods and materials would lend themselves to that, and creating a final product that exceeded expectations. The only complaint I have about my new Chuck Lee Custom Ovilla is that my playing level in no way extracts the potential of the banjo. Chuck exceeded expectations for the banjo and advice and service after the sale (I needed a little help with adjusting the action and was afraid I’d ruin it. He patiently walked me through the process and it was easy). This particular banjo has a cherry neck and rim, renaissance head and heavy Moon bridge. It has a very nice tone with just enough plunk to arrive at the sound I was looking for. I do not know why anyone would need look any further for a premium banjo than talking with Chuck. I assure you, you’ll not be disappointed. Previous post Custom 13″ Chuck Lee Banjo. Next post One heart, one song, one life touches another….an unfading gift.